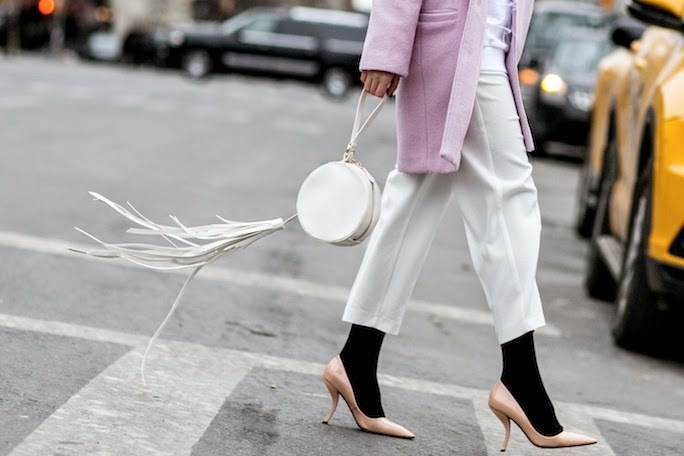 While New York Fashion Week has been going on this year in ice cold temps, it has been a thing of intrigue to see how editors and street style stars have managed to stand out fashion wise while fighting the freeze. 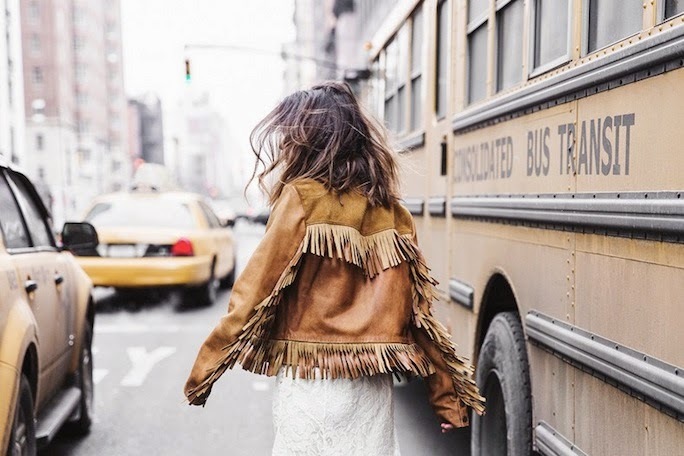 One trend going strong on the streets and on the runways is fringe. From dance worthy fringe skirts to flirty fringe accessories, this is a trend worth trying. 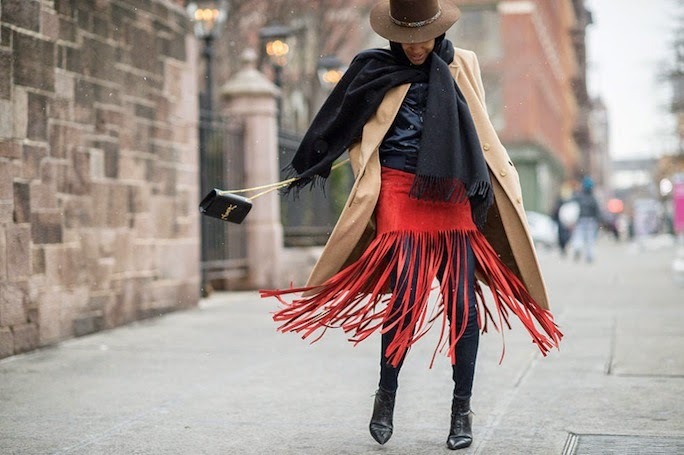 Fringe skirts, like those shown in the J.Crew Fall 2015 collection, have made a major statement on the streets of the NYFW Fall 2015 shows. The movement adds an element of surprise to a classic pencil skirt form and it plays particularly well to photographers. Black leather fringe skirts have been the most popular, and spotted among stylish ladies including Eva Chen, but you're loving the above flirty red fringe skirt, try a sophisticated berry version like the one below. As much as I admire those willing to bare even an inch of skin in freezing temps, if I was in New York for fashion week, I would be fighting the chill with these leather fringe gloves. Although fringe skirts may be the skirt du jour, that doesn't mean that you can't incorporate the trend into your look with a sophisticated top or western inspired jacket, like the above NYFW street style stars. For a romantic transition into spring, white lace pairs perfectly with a tan suede fringe jacket and creates a welcome juxtopose to a black leather version. If your not 100% ready to embrace the 70s nostalgia associated with fringe clothing, fringe accessories make stand out statement pieces. NYFW street style, like that above, has proven that a little bit of flirt can go a long way! For the easiest way to tackle the trend, try a tasseled statement bag or fun ornamental shoes.